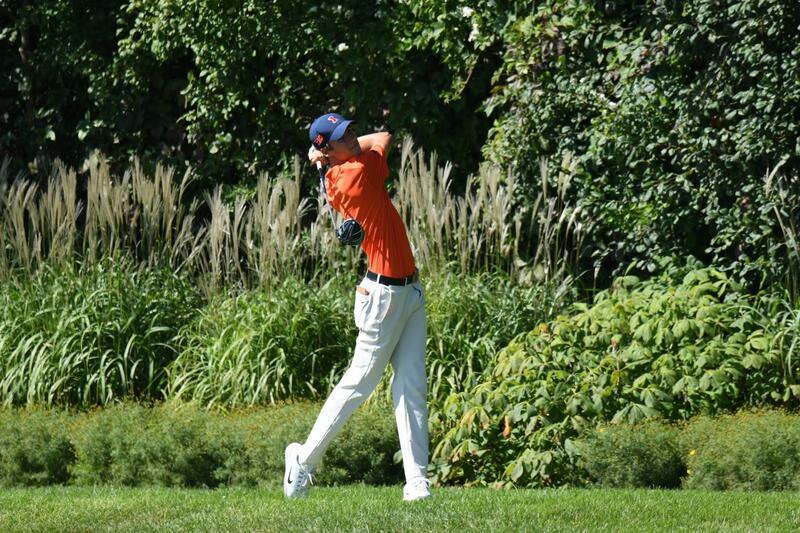 Illinois men’s golf freshman Adrien Dumont de Chassart competes at the OFCC/FI Invitational in Olympia Fields, Illinois. 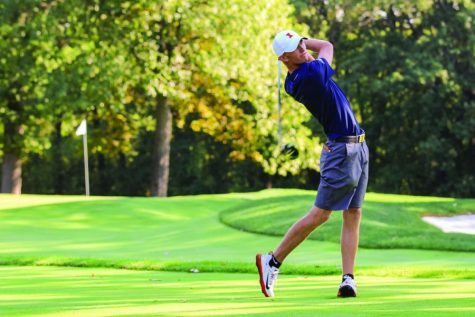 Since the Illini men’s golf team is young, it’s fair to question who the emerging leaders are. Last year, Illinois graduated two players, Nick Hardy and Dylan Meyer, who were extremely impactful and accomplished a lot, not also with their performance but with their leadership. Freshman Adrien Dumont de Chassart is an upstart player whose recent success indicates he could be the player who is passed the torch. Last weekend at the Macdonald Cup in New Haven, Connecticut, Small’s statement could be seen firsthand. Dumont de Chassart navigated the course well, tying for second along with his teammate junior Bryan Baumgarten. Dumont de Chassart had a notable third round, scoring seven birdies, which launched him from seventh place to second. The performance is nothing new for the native of Belgium, who has played golf since he was seven. Dumont de Chassart also credits Thomas Detry as being a big reason why he chose to attend Illinois. 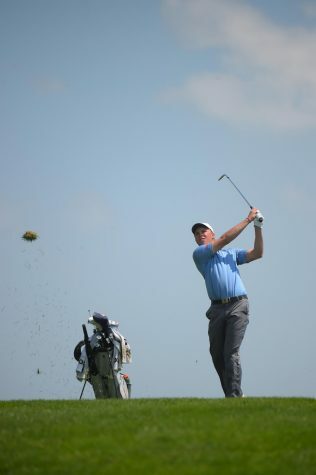 Detry is a Belgian golfer who played for the University from 2012-2016, earning honors such as 2013 Big Ten Freshman of the Year, three-time all-Big Ten First Team (2014, 2015, 2016), 2015 Big Ten Golfer of the Year and the 2015 Les Bolstad Award winner. If Dumont de Chassart can be anything like Detry was for Illinois, the Illini have a rising star on their hands. Before coming to the University, Dumont de Chassart went to the same school (College du Christ Roi in Ottignies-Louvain-la-Neuve, Belgium) as his Illini teammate, junior Giovanni Tadiotto. Although Tadiotto was not a direct influence ofnhim coming to the school, he says it helps him. Dumont de Chassart has a promising future, and he strives to one day be at the level of the professionals he grew up admiring. He specifically looks up to Tiger Woods. “Always been a big inspiration, and the fact that he won last week, it was a great comeback,” Dumont de Chassart said. Dumont de Chassart hopes to continue the momentum from this past week into the future, as he has high expectations for the remainder of the season. 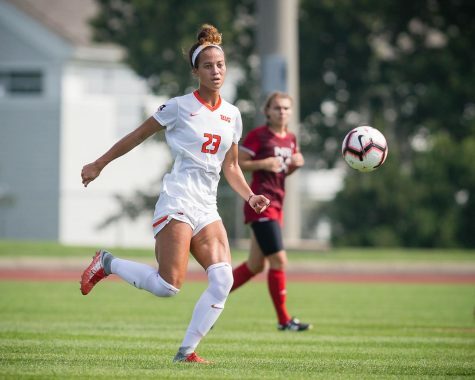 “I hope (we’re) going to win the NCAA finals; that’s like a big dream for everyone on the team and especially for the coach,” Dumont de Chassart said.